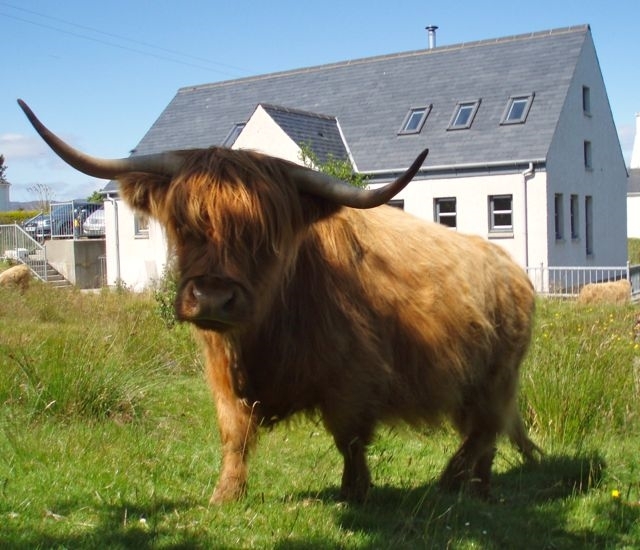 Nanyuki - unique accommodation for two at Drumbuie, a small crofting village on Scotland's wild North-West coast, close to Plockton and the Isle of Skye. Situated in Ross-shire amid the historic crofting lands of the West Highlands, Nanyuki is a perfect base from which to explore the varied delights of Scotland’s wild and remote places. Only a short walk from the sea, Nanyuki boasts an excellent rural situation on the Common Land of the crofting village of Drumbuie. Drumbuie is one of the picturesque villages of the Balmacara estate which has been owned by the National Trust for Scotland since the 1950’s. 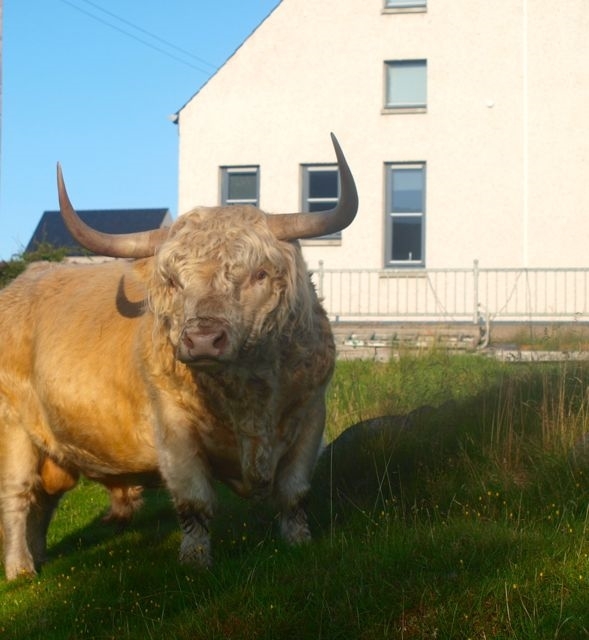 Because traditional crofting ways are still used the meadows sparkle with a large variety wild flowers and orchids in the spring. Here the sheep and Highland cows graze up to the door. Otters make this coastline their home – look out for a ring of bright water. Nanyuki has an open contemporary design giving it a unique internal space with balcony and vaulted ceiling. The ground floor consists of a modern kitchen and dining area with further large living area with satellite TV and WiFi facilities. Nanyuki was designed to be very spacious accommodation for two adults. It has only one shower–room and thus would be less suitable for larger parties. 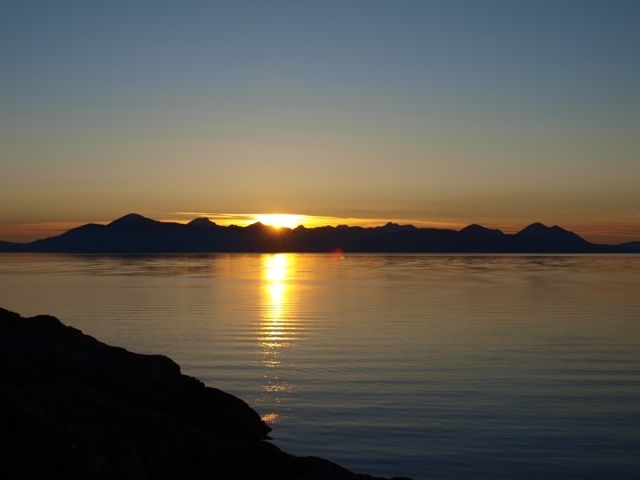 Sleeping accommodation consists of a large upper double bedroom with views to the Applecross peninsula. Nanyuki is an ideal centre for activity holidays, and don’t forget your camera and binoculars! 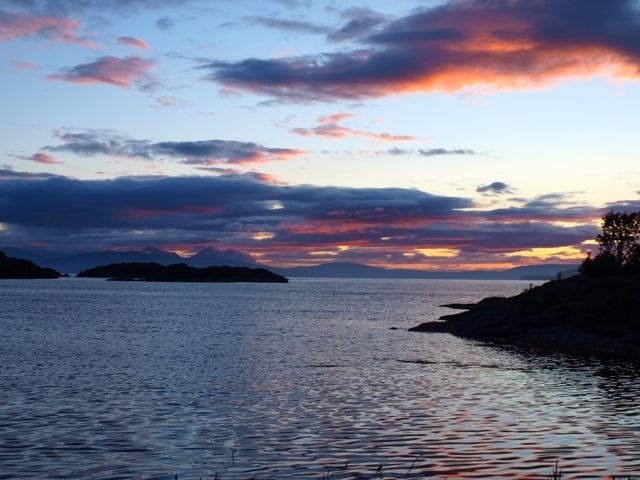 As well as all styles of cycling, you can enjoy all grades of walking and mountaineering, sea kayaking, golf, angling, both sea and freshwater…… and you might also have the opportunity to see a Shinty match. Many cultural activities are on offer and the locality boasts various festivals with a distinctive Gaelic flavour. You can also discover the unique geology of this ancient landscape and the historic monuments for which the area is famous. 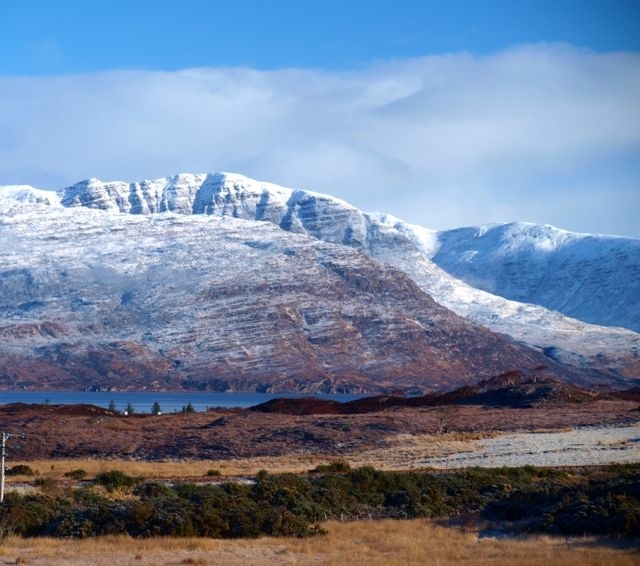 The weather in the West Highlands can be changeable. If you do need to shelter from the elements then you will find Nanyuki is a perfect place to relax in comfort. 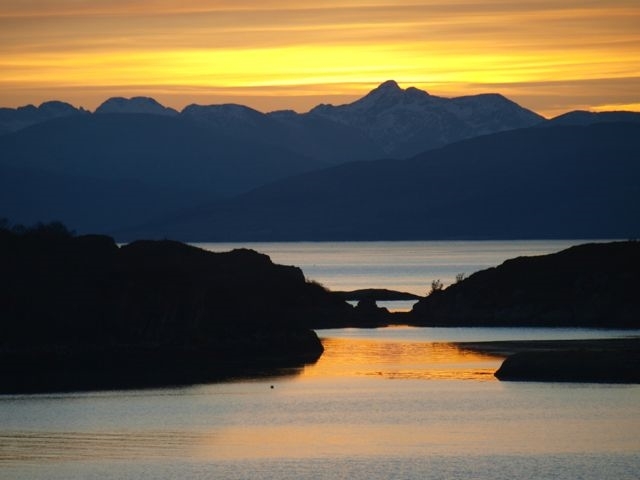 As you wander along the tracks and paths near Drumbuie the back drop is the rugged Cuillin mountains of the Isle of Skye to the west………....to the north are the giant peaks of Torridon and nearby to the east are the long ridges of Kintail. Nanyuki is right in the middle of this mountain paradise. Drumbuie can be reached by a four hour drive north from Glasgow. The journey will take you up the banks of Loch Lomond, through Glen Coe and north from Fort William through the Great Glen and past Eilean Donan castle.